Forest fires and the resultant haze in Indonesia and other parts of Southeast Asia may have killed over 100,000 people, a new study has claimed. The paper published published in journal Environmental Research Letters, used satellite data and computer modelling of health effects to determine the chances of early deaths in the region. It claims 91,600 deaths in Indonesia, 6,500 in Malaysia and 2,200 in Singapore due to the fire. These numbers are considerably higher than the 37,600 estimated deaths due to haze and fire in 2006. The 2015 fires in Sumatra and the Indonesian part of Borneo have been considered the worst since 1997, burning about 261,000 hectares of forests in weeks. However, governments of Indonesia, Singapore and Malaysia have dismissed these claims. Media reports say that officials from Indonesia have called the study baseless. A Singapore official said that the report does not reflect the situation on-ground. The agricultural fires emit fine particulate matter (PM2.5) that cause severe health problems, including asthma, bronchitis, lung cancer and cardiovascular disease. Other than causing human health problems, the fires are an economic setback to countries. Carbon sinks are destroyed and animals lose their natural habitat. Orangutans fall victim to the crisis, and are often left sick and traumatised. Large fires in Indonesia, started for clearing forest land for agricultural purposes, have become an annually nuisance. As per the BBC, fires are caused by corporations and small-scale farmers alike, who use this method to clear ground for palm oil, pulp and paper plantations. However, the situation often goes out of hand and the fires spread into protected forests. The fires continue for months, releasing thick smoke into the atmosphere. They are fuelled by peat deposits. Last year, a state of emergency was declared in six Indonesian provinces due to the crisis. 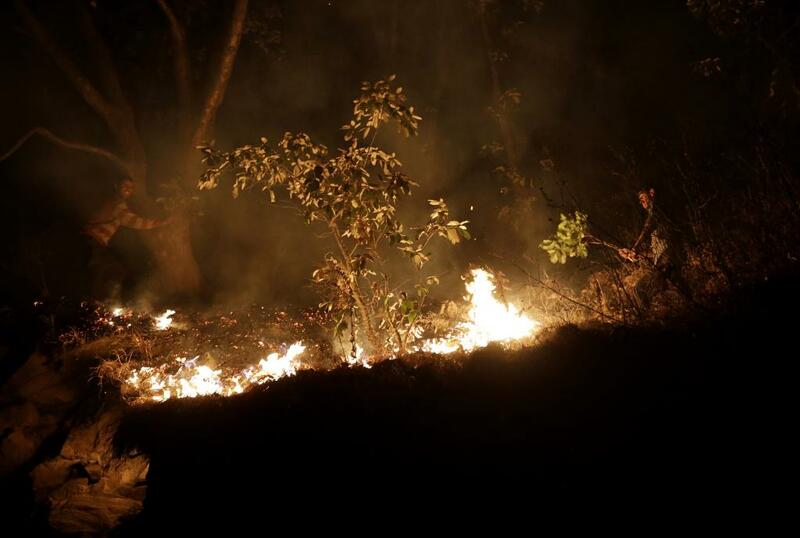 Indonesian branch of the global non-profit WWF has said that the fires are caused due to “collective negligence”.